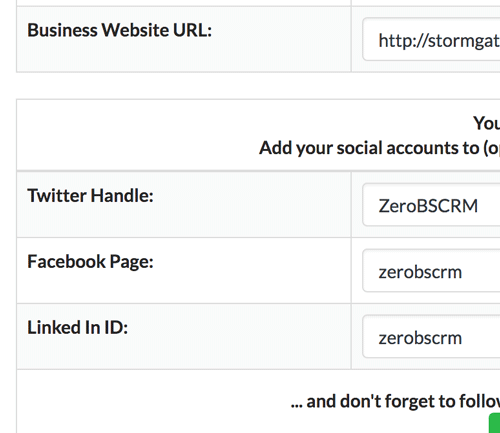 Rather than get deep into a social network, Zero BS CRM opts for simple but effective Social Account integration. We let you store your contacts Twitter, Facebook, and Linked in Details, providing you easy access to their social profiles with just one click from the contact record. Where appropriate you can reach out to a contact via social platform, just click through from ZBS CRM! Zero BS CRM is all about simple effective software. We're not making it hyper easy to send out mass-messages to contacts via FB, but then, you probably don't want that, (that sort of thing has proven to bring bad rep to companies, over and over). Our approach to social integration is slick and simple. Add your Business social accounts to the global Business Info panel in Zero BS CRM Settings, and ZBS will allow you to automatically append a nice collection of social links to your Mail Campaigns, and other areas in the CRM exposed to Clients. 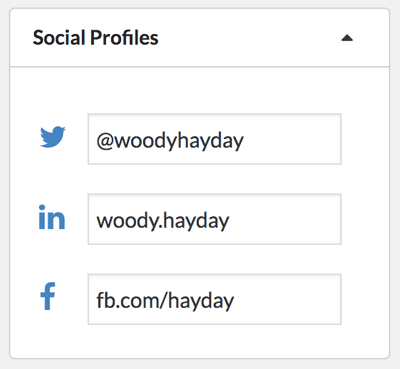 Adding a social account to a crm contact is as simple as copying the contact's twitter handle @crmcontact, and putting it into the Social Accounts box in your contact editor. 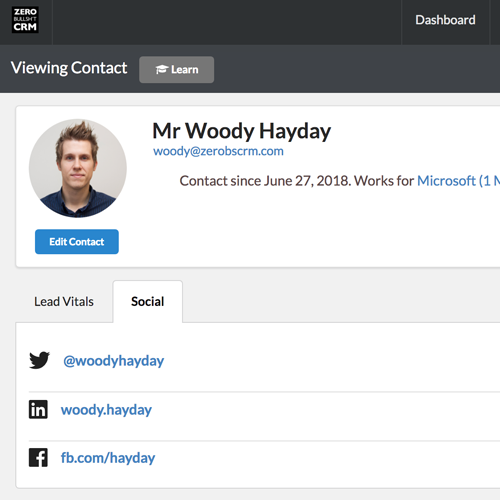 Once you've got your social details saved against a contact, (we get a PA to research and add our contacts social network handles), you can easily jump into their profile from the Contact View page.